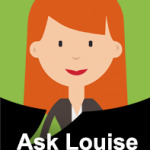 Q. Hi Louise, I am working mum and would like to teach my daughter ballet is there a school that offers ballet on Saturdays for the age group of 4-5. A. Yes, there are various schools that teach ballet at the weekend. The Ballet Center in Jumeirah,Turning Pointe Dance School and Cello Music & Ballet Center. The last two both have ballet sessions at various locations around town. Check out their contact details in our Sports Directory.